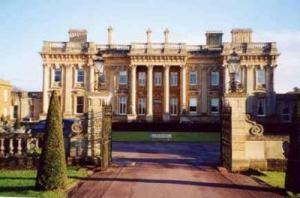 Choose from 112 hotels and guest houses in Oxfordshire. Shown below a just a selection of the hotels available. To search within an area please use the menu on the right. Built in the old Cotswold style, the hotel offers all modern facilities and is ideally situated 10 miles from Oxford and 7 miles from Burford. The hotel prides itself on its charming surroundings and the personal service offered to guests, ensuring a warm welcome and enjoyable stay, whether for business of pleasure. In the evenings you can relax and reflect on your day in the comfort of the hotel's newly refurbished Brasserie and Bar. Situated in the heart of the Thames Valley, only 9.5 km (6 miles) south of Oxford, the hotel, with its unusual and interesting architecture, prides itself on personal service. Offering all the comforts of home away from home, the facilities include the unique Octagon and Conservatory restaurants; relaxing bar and lounge areas; and conferencing and banqueting for up to 140 people. Live entertainment is provided most Saturday evenings, whilst the speciality weekends include murder mystery, dinner dances and cabarets. The hotel is in a fantastic location for Oxford, the Cotswolds and the Thames Valley, with extensive on-site car parking available free of charge. Please note that throughout December there will be limited evening availability in the restaurant. The hotel apologises for any inconvenience caused. Friendly, cosy and clean, this family-run guest house offers free Wi-Fi, free parking and en suite rooms, in a great location, just a 5-minute bus journey from Oxford's city centre. 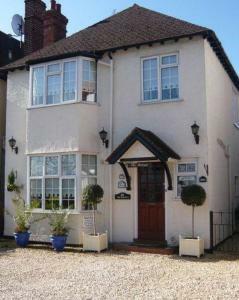 Brenal Guest House has a convenient location, close to Oxford's ring road. The very heart of the city centre is within easy reach, with a good bus service running regularly from the nearby bus stop. Alternatively, you can reach the city centre by taking a pleasant stroll along the river. All of the en suite rooms have TVs and tea/coffee making facilities. Large family rooms are also available. A full traditional cooked English breakfast is included in the price and lighter continental options are also available. Brenal Guest House is family run and your hosts, Mr and Mrs Ponen, pride themselves on offering a warm welcome and a friendly relaxing atmosphere. These 2 Victorian town houses are 10 minutes' walk from the city centre, and an even shorter walk from Christ Church College and the Thames. Newton House Guesthouse is well located for exploring Oxford on foot, and is the B&B closest to historic Christchurch. Major coach sites and the train station are within 1.2 km of the guest house, and buses stop right outside. The well-presented guest house has free Wi-Fi internet access and a private car park. Newton House was graded 3-star guest accommodation by Visit Britain and the AA. We are a beautiful Victorian, family-run guest-house in South Oxford, located just half a mile from the city centre and a 10 minute walk from many of Oxford's historic buildings. Conveniently located for the A40, M40 and A34, we have a 3-star classification by Visit Britain and AA. We also have well-maintained facilities and many original features. The guest house has been recently refurbished to a high quality standard and the majority of rooms are en suite. Overlooking the Queens College sports grounds and boat houses, we are a stone's throw from the River Thames towpath. 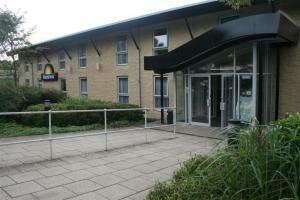 Days Inn Hotel Oxford is 6 miles (9.7 km) from Oxford city centre and located off junction 8A of the M40 motorway. The convenient hotel has free parking, spacious en suite rooms and a 24-hour reception. Next to the hotel is the Welcome Break service area, with shops and restaurants including Burger King, KFC, Eat In, Coffee Primo, WHSmith and Waitrose. Each room has a bath and a shower, tea/coffee, Freeview TV, a telephone and a free newspaper. Pets are permitted at the hotel. Nearby attractions include Blenheim Palace, Waterperry Gardens, Cotswold Villages and Bicester Village designer shopping outlet. 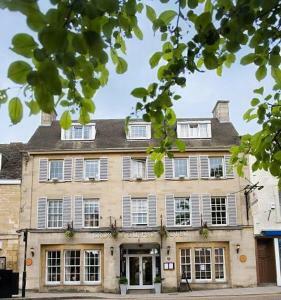 Set in the historic market town of Witney, this former Georgian coaching inn overlooks the bustling town square. The Marlborough staff are the friendliest in town. We aim to please and we deliver fantastic service to meet your need Those wishing to explore will find a host of historic and beautiful places nearby to visit. Burford, Blenheim Palace, the Cotswolds and Oxford are all a short drive away. For the business traveller, a well-situated central location from which to base yourself. The hotel offers comprehensive banqueting and conference facilities, with 23 bedrooms all equipped with en-suite bathrooms and designed with your personal need and comfort in mind. 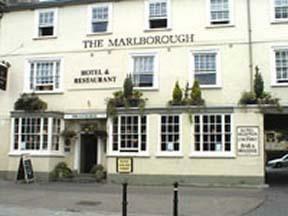 The Marlborough exudes a natural warmth and charm, ensuring a memorable visit. The Brasserie bar is the perfect place to sit and view the picturesque town square, which plays host to the local market on Thursdays and Saturdays. You will be warmly welcomed into this charming room where you can enjoy a quiet drink at the bar, or a relaxed meal in this informal setting. Our Chef's blackboards offer an extensive range of freshly prepared value for money meals that our certain to tempt the eye. We have live music in the Brasserie bar most weekends - suiting a variety of tastes, from good old rock and roll to traditional Irish knees ups. Recently extended to create a great restaurant private hotel on the outskirts of Banbury. Adjacent to m40 Junction 11. Privately owned and run by Phil and Karen Slater, offering a friendly personal service. Originally a farmhouse, converted into an inn and now recently extended to form a steakhouse restaurant and 6 bedroom private hotel. Adjacent to the m4o motorway! Char-grilled steaks are the speciality of the house. We have 2 restaurant areas,and a large garden with a covered decking area for alfresco dinning. We are situated just 2 minutes from Junction 11 on the m40 and 5 minutes from Banbury town centre. In the tranquil village of Iffley, just 2 minutes' stroll from the famous Iffley Lock, this family-run hotel has a peaceful, attractive location, only 2 miles (3.2 km) from the heart of Oxford. 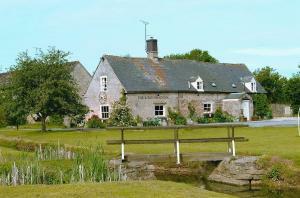 The Tree Hotel has an idyllic setting, only a short walk from the River Isis and the lock. A pleasant half-hour riverside walk takes you into to the Oxford's city centre, with its famous colleges and dreaming spires. All of the en suite rooms have TVs, telephones, hairdryers, trouser presses and tea/coffee making facilities. The hotel also offers free high-speed wireless internet access. A full, traditional cooked English breakfast is included in the price. The award-winning Annora Restaurant is famed for its fine international cuisine, including authentic Indian and Thai dishes, as well as traditional English favourites. All dishes are created to order and made using the freshest ingredients from the best local suppliers. Free parking is available on site. An elegant Georgian building with lots of charm based in the middle of lovely Banbury. An ideal base for touring the Cotswolds, Stratford and Oxford. Nestling in the heart of Oxfordshire, 3 minutes walk from Banbury Cross, this Georgian property combines traditional elegance and grace with all of the convenience of modern amenities, resulting in a hotel that caters for the individual needs of its every guest. From our excellently appointed guest rooms and suites to the enchanting ambience of our well- renowned restaurant, we will do our utmost to delight you. Set in the picturesque village of Black Bourton, near Bampton, this charming rural retreat provides the ideal base from which to explore Oxford, Swindon, Witney or Brize Norton and the beautiful Cotswolds. The Vines Hotel and Restaurant, has long been acclaimed for its fine dining in elegant surroundings. It was famously designed by John Clegg of the BBC's Real Rooms team and provides traditional log fires alongside luxurious contemporary-style d?cor. Due to its success, the hotel now also features a detached wing in the gardens overlooking the lovely Black Bourton church. Independently owned and run by Andy and Karen Gerges, The Vines aims to provide a pleasant and relaxing stay, with packages personally tailored to your needs (subject to availability). They also offer space for functions of up to 100 people. Located in Bledington, midway between Oxford and Stratford Upon Avon and east of the M40, this privately-owned free house is set in the heart of the Cotswolds countryside. Set back off the perfect Cotswold village green with a meandering brook at its side, the Kings Head Inn has a timeless spirit which has in more recent times gained an excellent reputation. A former 16th century cider house, it has been elegantly furnished and modernised without losing any of its original charm. Set in 22 acres of peaceful parkland, the hotel offers a delightful blend of modern comfort and traditional charm, just off the A34, only 13 miles (21 km) from Oxford. Milton Hill House is a charming manor house and there are 20 rooms in the house itself, 87 in the purpose-built, modern accommodation wing and a further 8 in the Gable Cottages. All of the en suite double rooms feature contemporary facilities, such as laptop safes and LCD flat-screen TVs with Sky satellite channels. 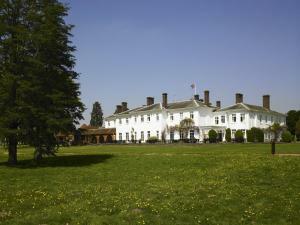 Milton Hill House is easily accessible from the M4 and M40 motorways and free parking is available for guests' use. Free wireless internet access is available throughout. After a hard day's work or a long day spent exploring the area, the hotel's leisure facilities are a great way to unwind. Enjoy a session in the mini-gym, the sauna, the steam room or the whirlpool spa, or take advantage of the indoor swimming pool. Since the 16th century, The Spread Eagle has hosted historic guests such as King Charles II and the writer Evelyn Waugh. Today it offers a warm welcome, excellent food, free parking and free Wi-Fi. The Spread Eagle is in the heart of historic Thame, famous for its 1-mile-long (1.6 km) Main Street. With a rich history, the hotel's guests have included royalty, famous politicians, writers and even French prisoners from the Napoleonic wars. The Spread Eagle was made famous by the unusual John Fothergill, who owned the hotel in the 1920s. He wrote about this in the popular book, "An Innkeepers Diary". Fothergill believed in the highest standards of food and service - this tradition continues in The Spread Eagle's Eden Bar and Grill. A fresh new English menu is served, including a reassuring 'comfort cooking' section. The fantastic city of Oxford is within easy reach, along with the historic town of Aylesbury. For shopping addicts, Bicester Outlet Village is only minutes away. Set in 60 acres of beautiful Cotswold countryside, on the banks of the River Windrush, the Mill and Old Swan offers charming accommodation, free parking, free Wi-Fi and good leisure facilities. In a picturesque village, just 15 miles (24 km) from historic Oxford and within easy reach of the M40 motorway, the Mill and Old Swan consists of 2 distinct buildings. The Mill was built in around 1806 and the Old Swan is a 600-year-old coaching inn. Rooms are available in both properties and all were refurbished in 2007. Rooms in the Mill are contemporary in style and most have views of the gardens or the river. Rooms in the Old Swan have been sympathetically refurbished to reflect the buildings rich history. At weekends you can check out at 10:00. There is a charming and unique bar, as well as a restaurant serving local dishes. There are also tennis and basketball courts, a mini-gym, a sauna, a 5-a-side football pitch and a croquet lawn. Welcome to The Ridings: a small and quiet guest house in the heart of the historical city of Oxford. Both tourists and business guests will appreciate the classical style, relaxing atmosphere and attention to detail. Check-in is between either 10:00 and 13:00, or 16:00 and 20:00. If you plan to check in at any other time, you must contact The Ridings Guest House before your arrival (contact details are supplied on you booking confirmation email). Remont is a modern contemporary, new look 4-star Guest Accommodation, located in Oxford. Remont is only a short distance (3.2 km / 2 miles) from Oxford City Centre and ideally located for easy access to London and the Cotswolds. The Macdonald Randolph Hotel is in the heart of Oxford, opposite the Ashmolean Museum. The restaurant has 2 AA Rosettes and fine city views. The Randolph Hotel is known for excellent service and traditional values. The en suite bedrooms are luxurious, comfortable and stylish. The Spa at The Randolph is hidden away in the hotel's cellar. A candlelit walkway leads to 4 treatment rooms, aroma steam rooms, a bio sauna, an ice fountain, a hydrotherapy Jacuzzi and a mini gym. Morse Bar is a peaceful environment for a quiet drink, and the famous 'Randolph Afternoon Tea' is served in the Drawing Room daily. Set in 130 acres of stunning Oxfordshire countryside, 4-star Bicester Country Club is surrounded by 11 lakes, with convenient access to the M40. Bicester Country Club offers a wealth of facilities including, The Health Club with gymnasium, tennis courts and an indoor swimming pool. Poolside facilities include a hydro spa, Jacuzzi, steam rooms, sauna and a solarium. All stylish rooms are en suite, with a widescreen Freeview plasma TV and complimentary WiFi internet access. Some rooms on the ground floor have small patio areas and some have views over the golf course or the designer courtyard garden. Guests may de-stress in The Forest of Wellbeing Beauty Spa, with luxurious hot tub garden. Bicester Country Club boasts the18-hole Chesterton Golf Course, set against a backdrop of the beautiful countryside. The Brasserie is a relaxing place to dine, along with Grays Restaurant and Lounge Bar. The Sports Bar is a relaxed option, with widescreen TV's displaying sporting events. Originally a 15th century coaching inn, this hotel offers a relaxing home away from home in the heart of the Cotswold's; an area steeped with history. In the past, the Crown and Cushion was owned by the legendary drummer Keith Moon from The Who and his legacy of decadence lives on today. With a new era under new ownership (it would be an understatement to say), locals have seen a vast improvement in standards, service and attention to detail of a hotel redecorated and freshened up. The Crown & Cushion is Chipping Norton's best kept secret. Once inside, you'll discover there's more to the hotel than at a 1st glance. As well as boasting en suite bedrooms, there is a cosy, traditional bar, a bistro restaurant, comfy lounge, al fresco dining on our the floral terrace, a private dining room for up to 16 guests, a function suite for up to 160 guests (with private bar and separate entrance), 2 further conference rooms, a health club. So why not come in, relax and let the surrounding peacefulness of the countryside take you away. Serving local produce, offering a friendly welcome, efficient service and a pleasantly relaxed atmosphere, this former 18th century inn is ideal for those seeking to explore the Cotswold region. Originally a resting and overnight point for travellers, this hotel still performs the same function, but in a more modern context. It offers the convenience of ample parking in a private car park at the rear of the hotel, and a restaurant and bar open daily to both residents and non-residents. Each of the 20 bedrooms has a private bathroom and many useful facilities. A four-poster room and a family room are also available. Whether you try traditional ales in the bar, a freshly brewed coffee in the coffee shop, or a meal in the air-conditioned restaurant, you are sure to enjoy your stay amid beautiful English countryside. 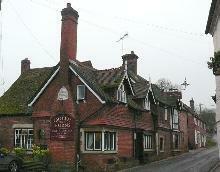 The Crown & Horns is a beautiful country pub built in the 1700s. It has a friendly bar and an intimate restaurant serving freshly cooked food. The hotel is attached to the pub but is a newer building built around a central patio area. The bar area is full of character and has a wide range of traditional ales. 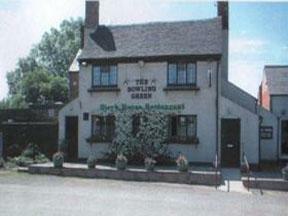 Many traditional pub dishes are served and you can choose items from the daily specials board. Immersed within 12 acres of tranquil gardens, this delightful country house is situated in the small Oxfordshire village of Weston on the Green, boasting easy access to the M40 and A34. Dating back to the 11th Century, Weston Manor Hotel offers a range of facilities to ensure a comfortable and relaxing stay. The extensive grounds are home to a croquet lawn and outdoor heated pool (May to September), whilst the building itself offers a 2 AA Rosette restaurant and bar. There are also 7 versatile meeting rooms with a capacity of up to 60 delegates. Weston Manor also provides the ideal base from which to explore the surroundings, including the Cotswolds, Shakespeare Country, the historic University City of Oxford, Blenheim Palace and Central London. 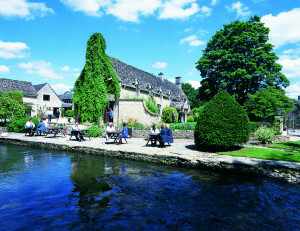 An authentic Elizabethan Cotswold Manor House specialising in Game and Seafood with a stylish, yet informal approach. Set in the beautiful Cotswold countryside; the Thames, Kelmscott, Burford and Oxford are all ready to explore. 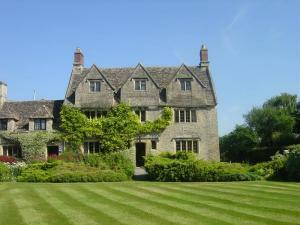 The Plough Hotel is a gorgeous and unique privately owned, Elizabethan Manor House. Stay in a wonderful four poster bedroom, enjoy al fresco dining under parasols during summer and in winter, relax beside a roaring log fire. Whether it be horse riding, fishing, shooting, boating on the Thames or pampering with simply delicious food, you will find something to suite you at The Plough Hotel. With a dining room, cosy bar, garden and fabulous en suite rooms, this charming inn nestles amid the medieval village of Dorchester-on-Thames, 14.5 km (9 miles) from Oxford. 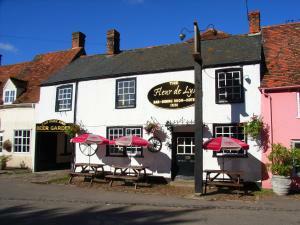 The 16th-century Fleur De Lys Inn provides an ideal retreat for a weekend or mid-week break. Stroll along the High Street, steeped in historic English charm, and visit the magnificent Augustinian Abbey; or enjoy the surrounding countryside with its myriad of delightful rambles, including the sleepy Thames riverbanks and the spectacular views from the top of Wittenham Clumps. Oxford and its many attractions are a mere 14.5 km (9 miles) away. A welcoming and professional team pride themselves in offering you high quality local cuisine, fine wines and real ales to make your stay a memorable occasion. This hotel is a wonderful secret hidden away in a beautiful corner of the Cotswolds, just 20 miles from the historic city of Oxford. Arrive at the sweeping 2-mile drive and see all manner of wildlife as you pass through the 400 acres and approach the impressive historic venue. There are 17 unique bedrooms in the main Manor House, with 100 en suite rooms in a modern wing, away from the main building. Heythrop Park is an ideal base from which to explore the outstanding beauty of the market towns of Chipping Norton, Stow on the Wold, Chipping Campden, Broadway and Woodstock. Enjoy a game of snooker, play croquet on the lawns, or just relax and enjoy a splendid meal in Parks Restaurant, overlooking the south lawn and Italian gardens. Picturesque Woodstock is home to one of England's oldest and prettiest hotels. 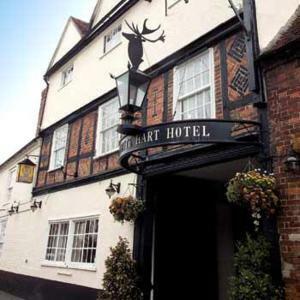 Built as a coaching inn in the 13th century, the Bear Hotel has played host to royaltyand film stars. The Macdonald Bear Hotel is a favourite haunt for romantic couples, especially since it became a hideaway for Richard Burton and Elizabeth Taylor at the height of their love affair. With its ivy clad facade, oak beams, open fireplaces and stone walls, it exudes warmth and cosiness, perfect if you want to escape from it all and treat yourself to some good old-fashioned hospitality. Extensively refurbished throughout, the hotel now boasts a conference centre complete with state-of-the art facilities. In East Oxford, this friendly, family-run guest house offers comfortable en suite accommodation at good value rates in well-equipped rooms, all with TV, DVD player, hairdryer and tea/coffee making facilities. The Athena Guest House is one of the original red brick Victorian detached houses common in the area. Today, the original building has been converted to house 7 comfortable en suite rooms, though it still retains lot of charm and atmosphere. The guest house is just a short distance from the city centre, but remains within easy reach of the city's ring road. Public transport is readily available, with plenty of buses and taxis available nearby. There is a selection of twin, double, triple and family rooms available, each of which includes a number of small but welcome touches, such as a water filter and a choice of wireless or wired free internet access.